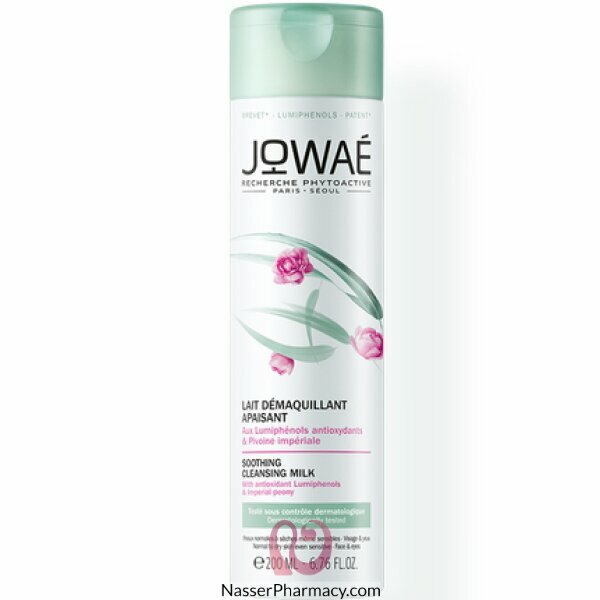 Jowaé Soothing Cleansing Milk 200ml with antioxidant Lumiphenols & Imperial Peony cleanses and removes make-up from normal to dry skins even sensitive ones. This milk gently cleanses and removes make-up from face and eyes while preserving from skin dryness. The skin is soft, comfortable, free of make-up and impurities. It gains back a new radiance and the complexion is fresh and luminous.